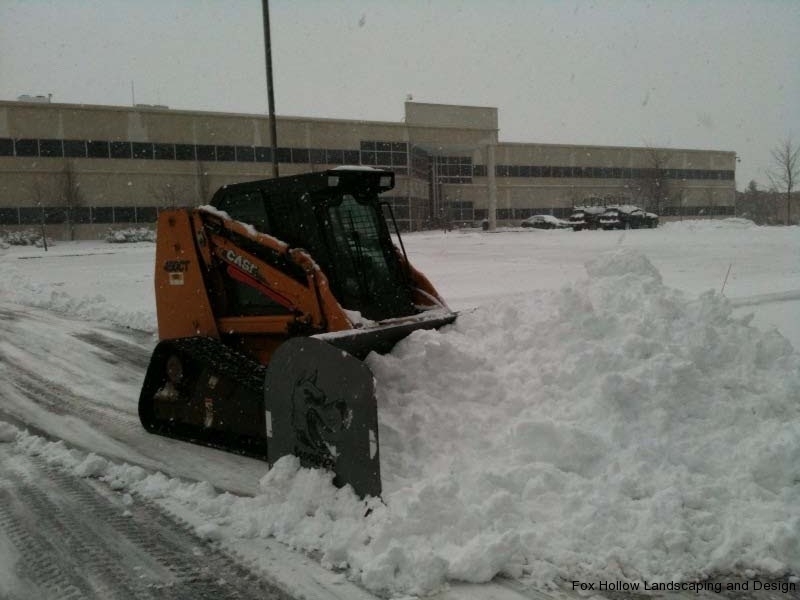 An Experienced & Reliable Staff for Winter Services | Fox Hollow Landscaping & Design, Inc. Since 1991 Fox Hollow has taken the same detailed approach in our snow and ice management as we do in our landscape design. 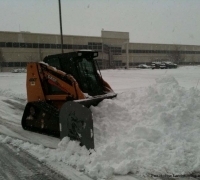 We offer a wide range of snow removal services for commercial properties in Morris County that include snow plowing, snow removal, ice control, sidewalk shoveling and parking lot snow removal. Our first priority is to maintain safe surfaces. We provide all of our customers with consistent and quality service, twenty-four hours a day, seven days a week. Our qualified staff will meet with you prior to commencing work to inspect your location for snow placement, obstacles to avoid and where to apply salt and de-icing agents. We map out and flag traffic patterns, curbs, fire hydrants and other hazards that might not be visible under several inches of snow. We are centrally located in Morris County, NJ. 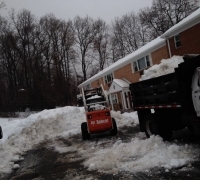 Our employees are fully trained in all aspects of snow and ice removal with over 20 years of experience. Fox Hollow is a member of SIMA, Snow and Ice Management Association, which provides us with better training for our employees and new products and techniques to help with ice control.